But I’ll get back to Hungry Twig Guy later. First, let me take you on a tour around the park. 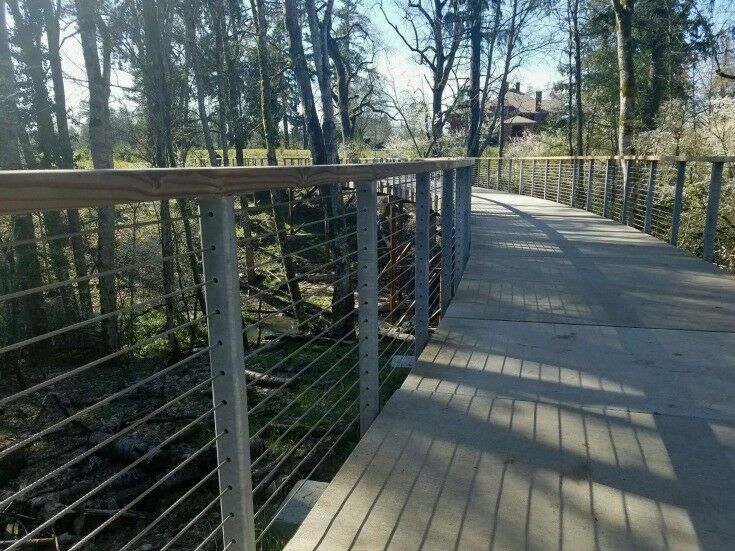 Orenco Woods Nature Park is a large neighborhood park located in Hillsboro, Oregon, about 30 minutes west of Portland. The 42-acre park is situated on the site of a former nine-hole golf course, between Orchard Park upstream and Noble Woods Park downstream. Rock Creek flows through the park, and Rock Creek Trail snakes through it. 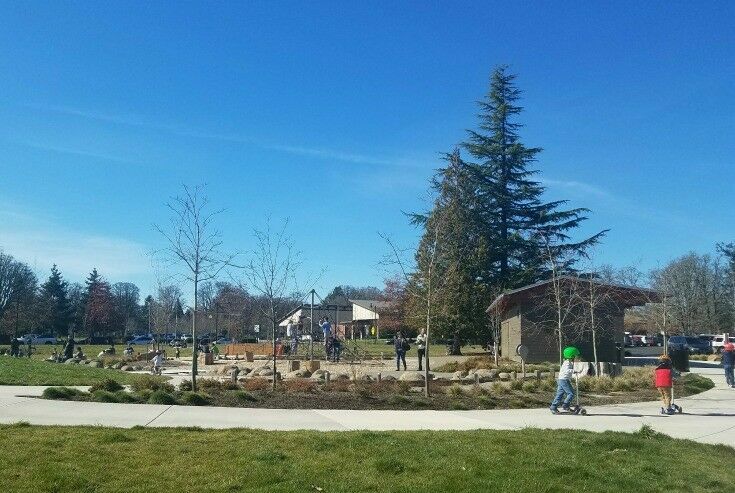 There is a big, open playground near the entrance to the park, with restrooms and drinking fountains for visitors, as well as a large covered picnic area. 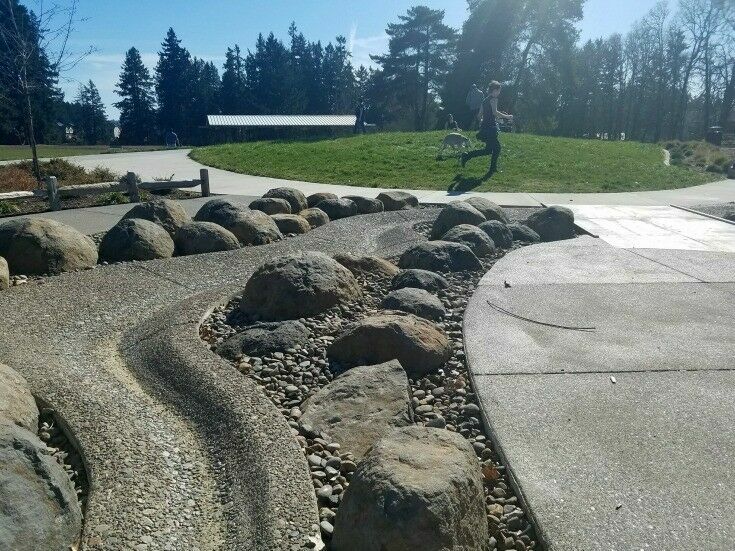 This concrete stream channel was one of my favorite features of the playground – it runs downhill alongside one long side of the playground, with strategically placed water pumps set along the “stream bed” that allow kids to feed into the stream with running water during warm weather months, with the water pouring back into Rock Creek after it runs its course. The playground also features sand areas, logs, a large net climber and swings. 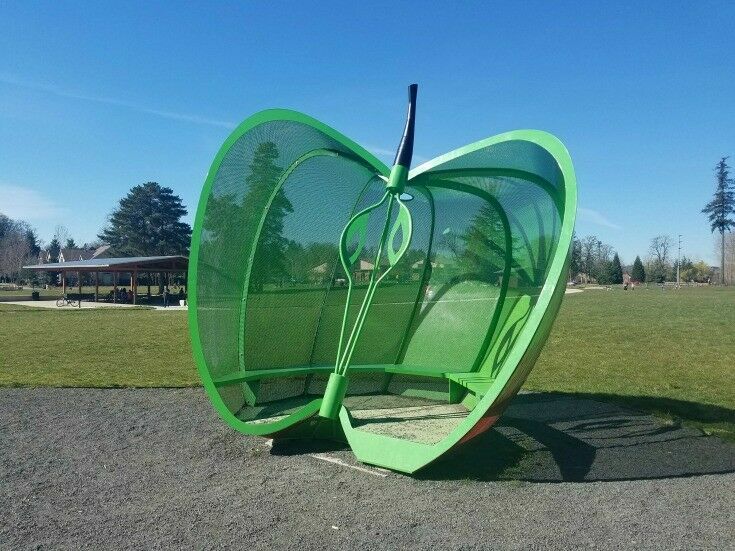 The “real” Orenco Apple is a high-quality dessert apple that was introduce to the world c.1840 by the Oregon Nursery Company. The apple is prized for its tender, crisp and juicy flesh, and sweet, piquant flavor. 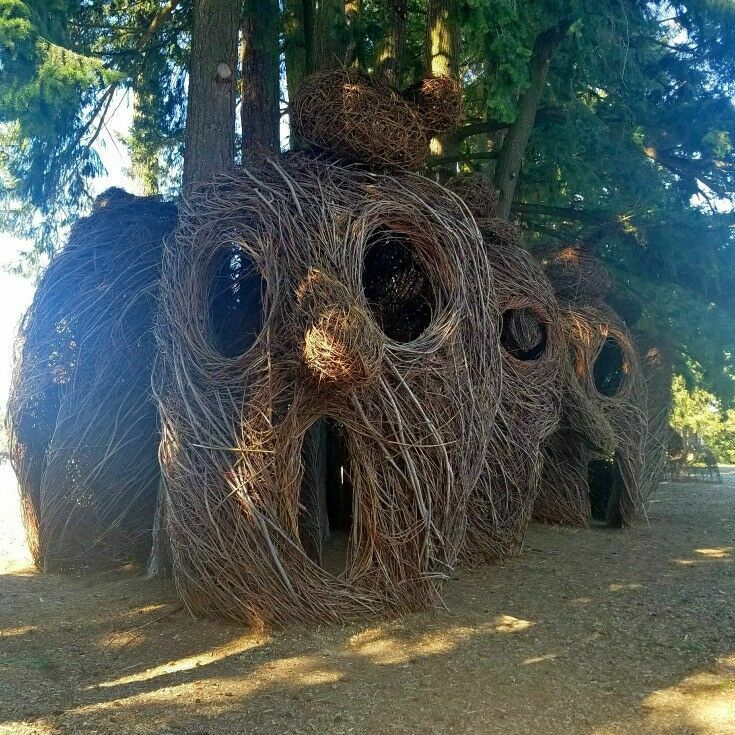 The McDonald House, which sets inside Orenco Woods Nature Park near the park entrance, was built by Oregon Nursery Company Co-founder Malcolm McDonald. 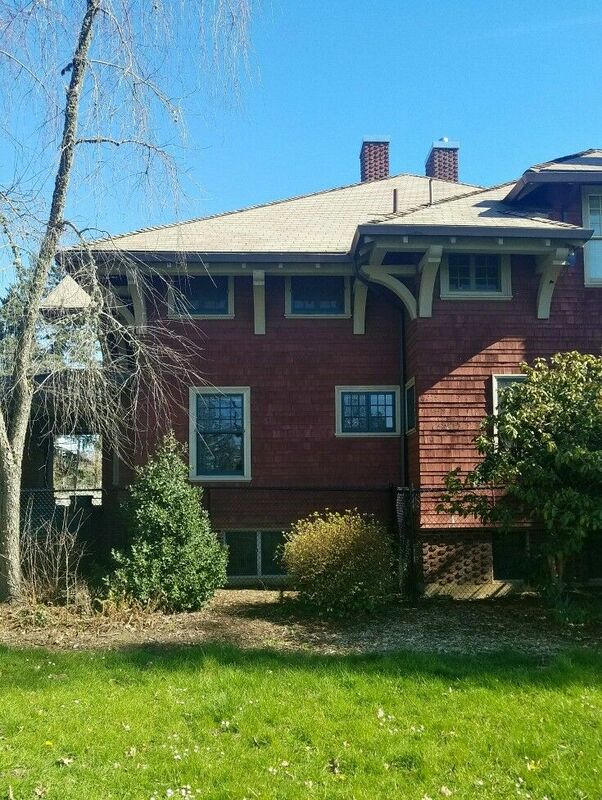 Mr. McDonald erected the sprawling Craftsman-style home in 1912, and his business then sold smaller lots to its employees, who built their own houses nearby. I had some brief contact with the McDonald house back in the early 2000’s when one of my Girl Scout Troops (I had four) did some volunteer work there. 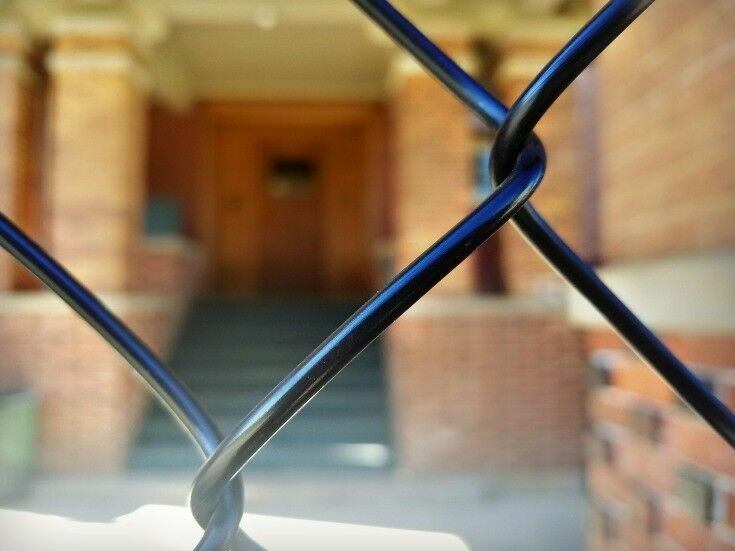 At that time, the house was being used as a shelter and home for young, single mothers. The shelter closed in 2012 when the organization that ran it moved to another location. 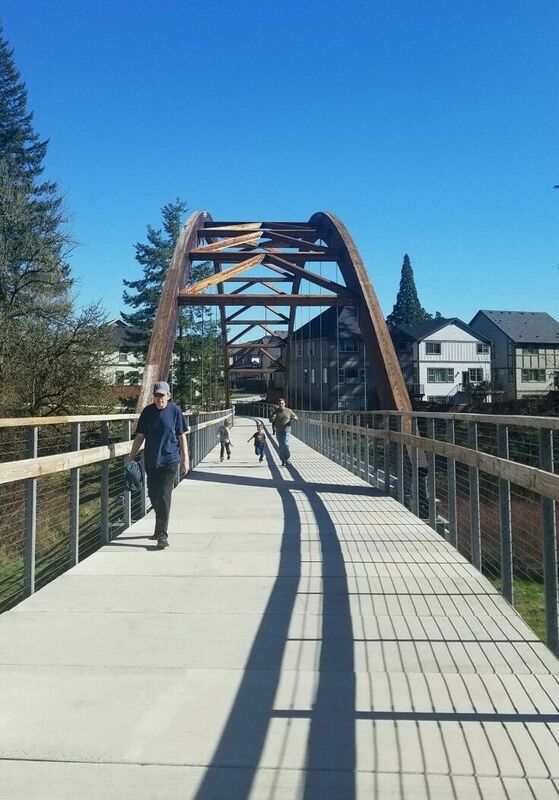 Despite the fences, I was glad to see that Hillsboro is taking steps to restore it to its former glory. 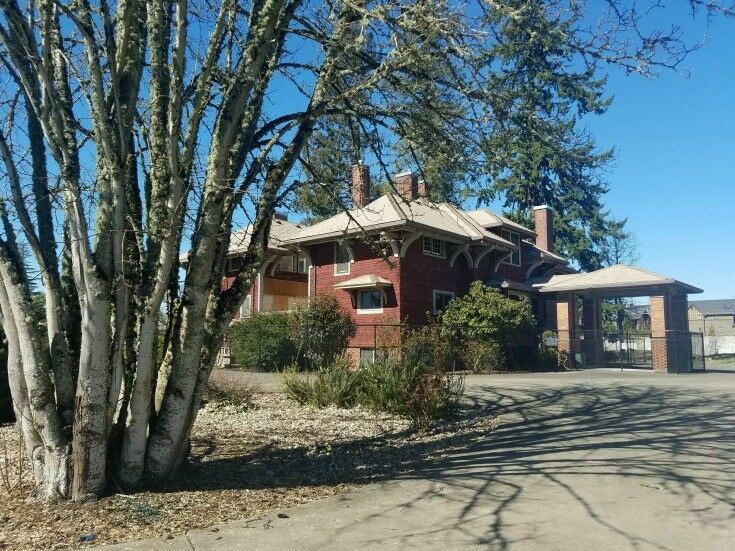 Planners have proposed exhibiting Orenco’s history in the house and renting it out for private events such as weddings. 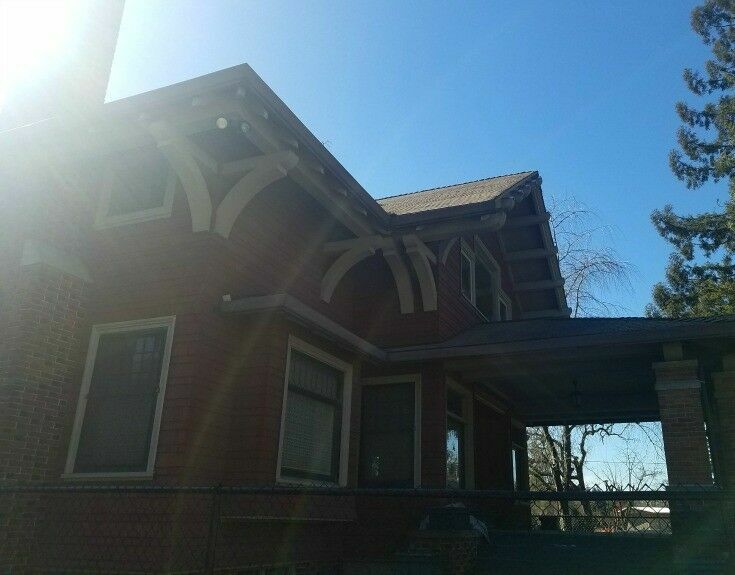 In 2015, the McDonald House was added to the National Register of Historic Places. 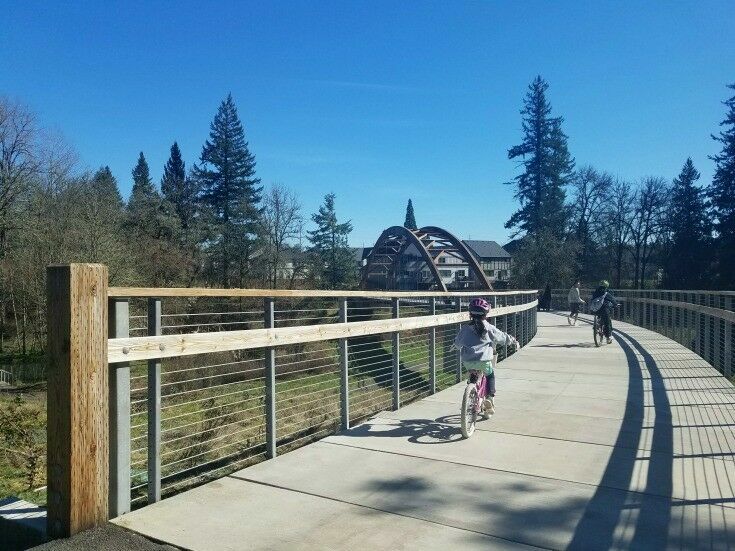 A segment of the paved, ADA-accessible Rock Creek Trail runs through the park, connecting to Orchard Park and to the Rock Creek Trailhead at Rock Creek Boulevard just north of Highway 26. 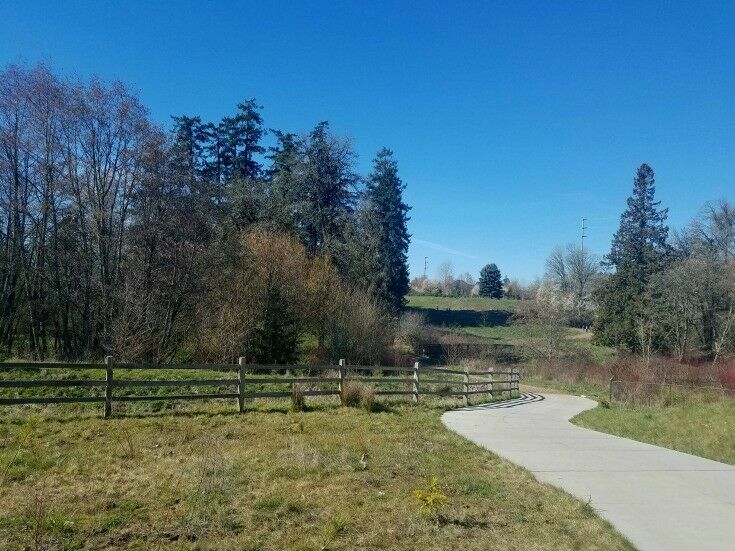 You can also walk the much shorter loop around the Orenco Woods Nature Park using the park’s graveled Habitat Trail. Bicycles and on-leash dogs are allowed on the paved trails, but not on the habitat trails [wood chip and gravel]. This is one of my favorite pictures of the day. The little two boys on the bridge were doing their darnest to beat their Dad racing across the bridge, and all three were having so much fun! 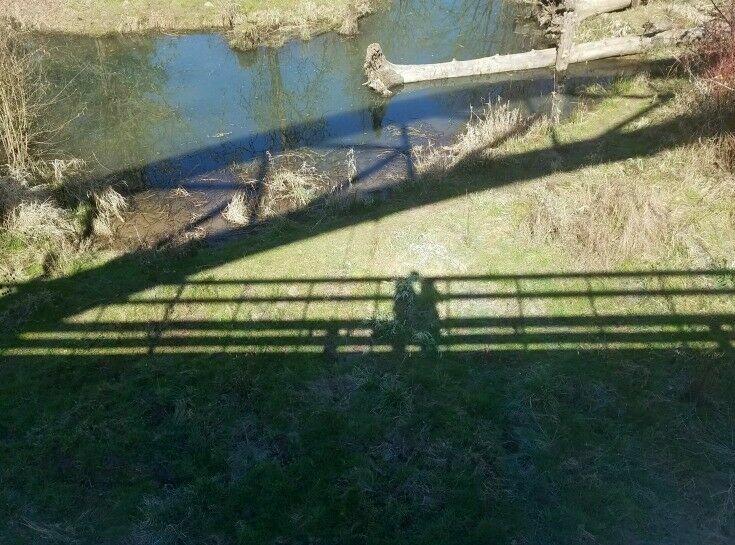 At certain times of day, the bridge cast some pretty interesting shadows. 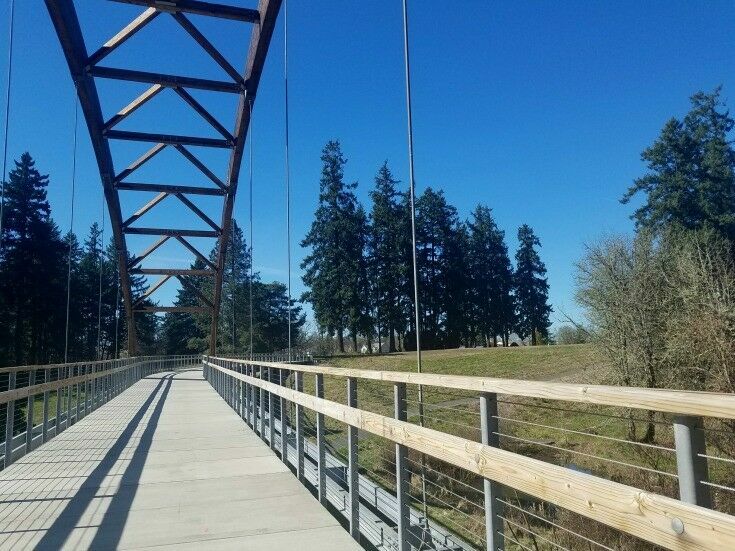 Orenco Woods Nature Park offers visitors a variety of experiences: rolling hills, open meadows, riparian habitat, and forested areas that are home to a variety of birds and wildlife. As we walked through the park, Mr B reminisced about the times he had golfed there in years past. “That course was always so wet. I remember that there was a par-three hole where you teed off from a box uphill to a mounded green below. When it was rainy, the green would be entirely surrounded by water.” No wonder the golf course didn’t last too long! 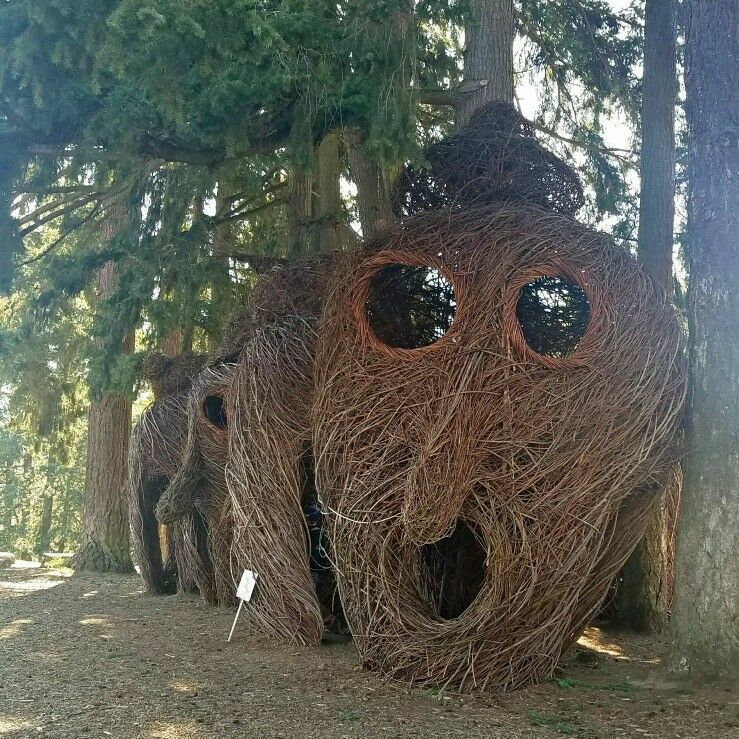 This guy is just one of seven 18-foot tall faces that guard a line of old growth Doug firs along the stretch of main path that runs from the park entrance to the large arched bridge. 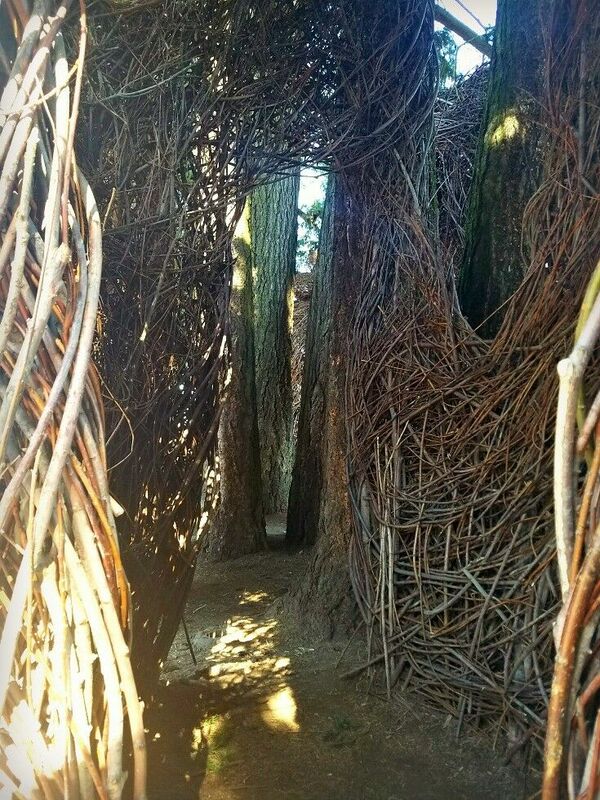 Created by artist Patrick Dougherty (along with a battalion of volunteers), the interactive art installation is constructed entirely from locally obtained twigs and branches. 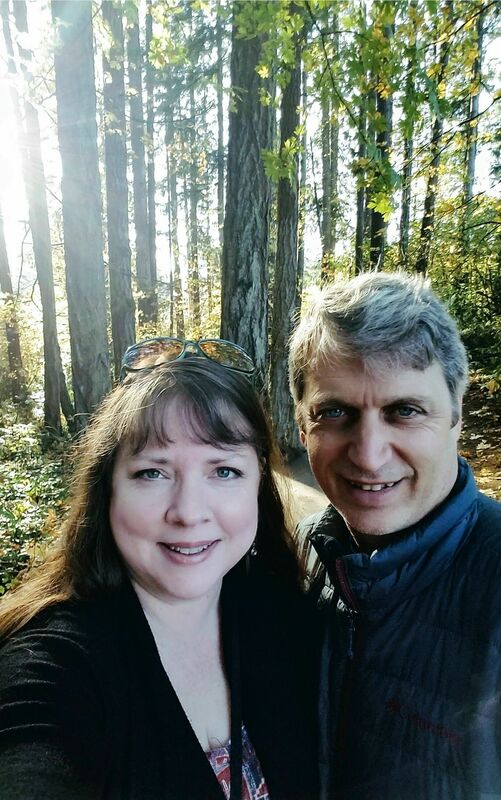 In addition to hiking the Rock Creek Trail and hanging out with giant Twig People, visitors can choose from wide variety of activities at the park, including hiking, bicycling, geocaching, and picnicking. 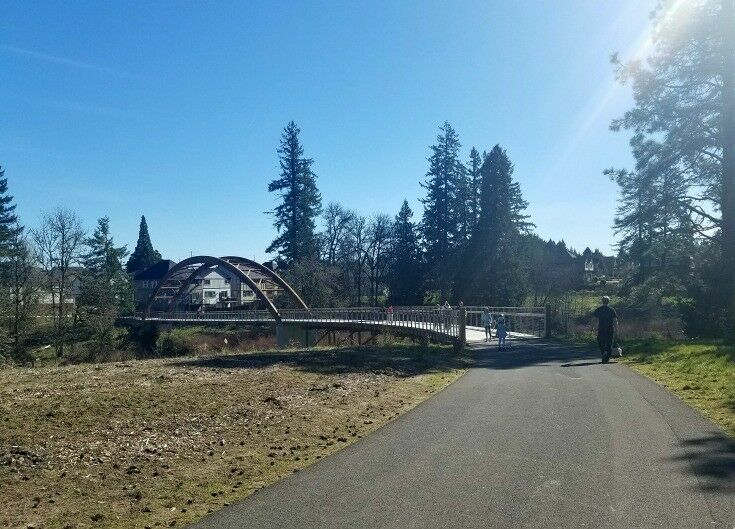 Or kick back and enjoy the native wildlife: great blue heron, beavers, red-tail hawks, black-tailed deer, and more all make their homes along Rock Creek and in the adjacent wetlands. 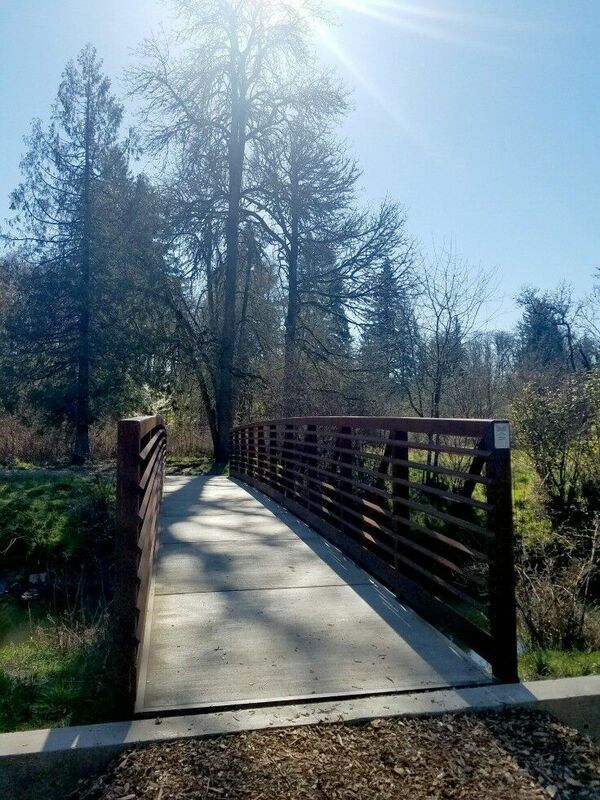 Orenco Woods Nature Park is open from sunrise to sunset seven days a week. The park has restrooms and a large picnic area, as well as a number of smaller, more informal gathering spots. 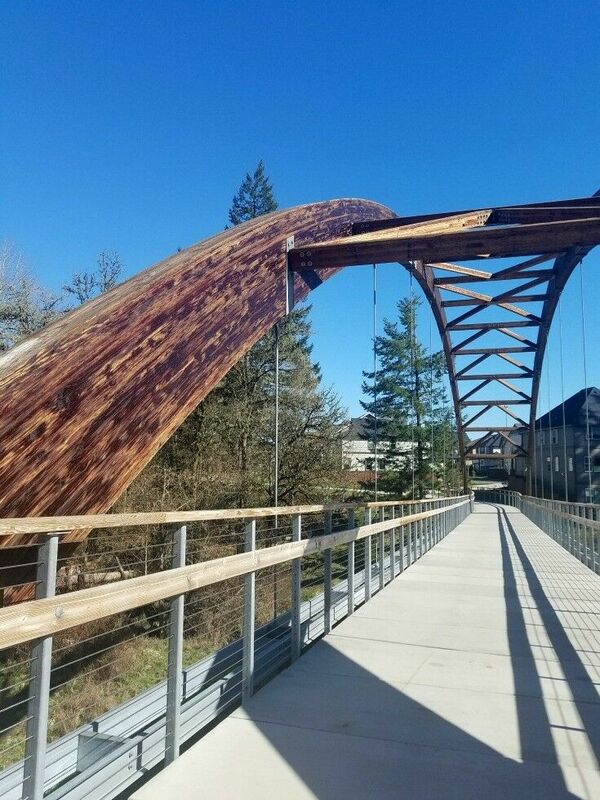 Significant portions of the park are wheelchair accessible, including the Rock Creek Trail. Pets are allowed on the Rock Creek Trail portions of the park, but must be on-leash at all times and are not allowed anywhere else at the park. Don’t bring drones, model planes, model boats and other remote-controlled vehicles – they are not allowed. (Neither is hunting, but do I really need to tell you not to hunt in a park filled with dogs and people?) However, you are welcome to do all the geocaching your little heart desires! Please leave a comment below! 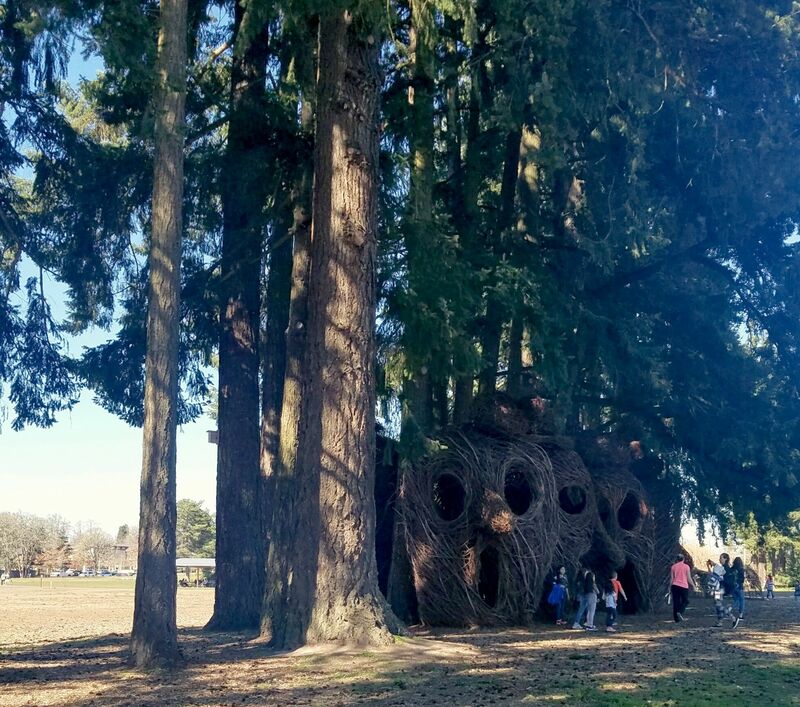  What unique parks are in your neighborhood? 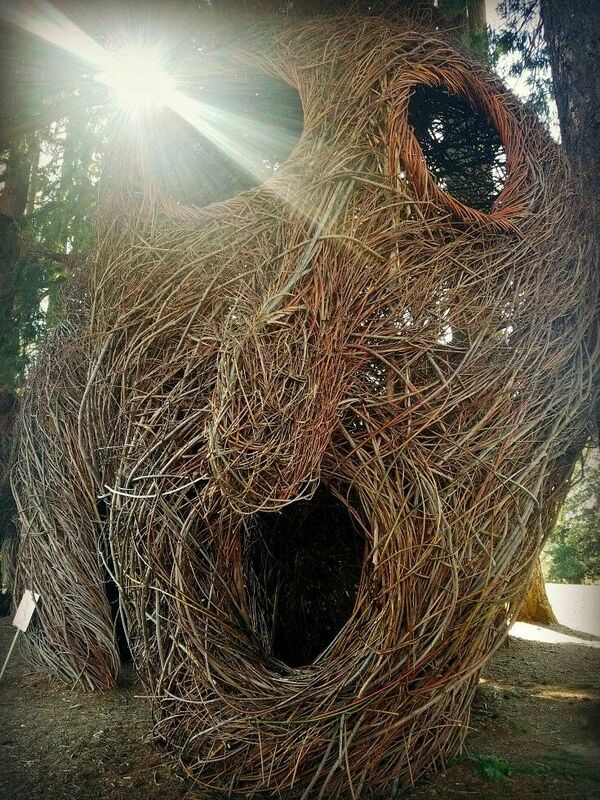 what a cool place to visit! i can easily spot a lot of location that would be great for photoshoots! how i wish i can easily visit! The McDonald House looks like a really beautiful place. I’d love to see it restored! Looks like a brand new park, My kids would love to go there someday, Its so nice to see the mcdonald house that is fully maintained. So cool!! I’m an outdoors person so this place is right up my alley. 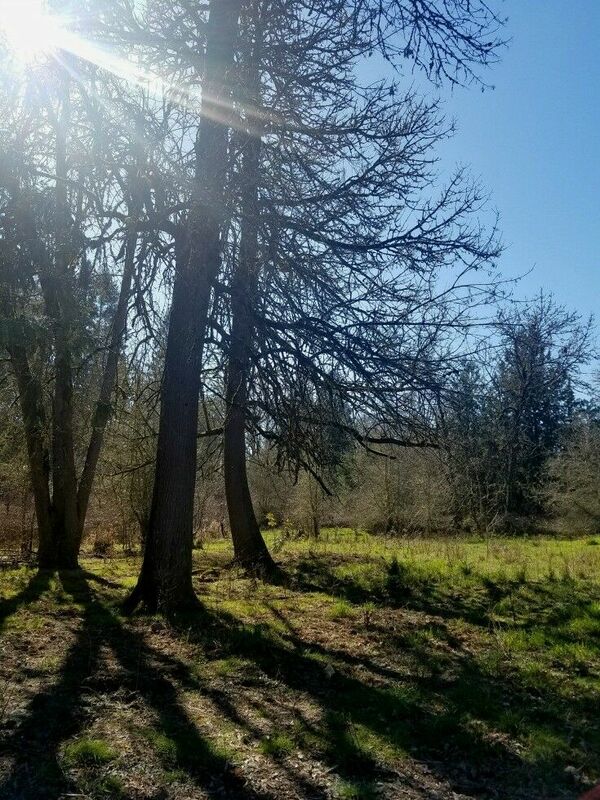 I’m making my 1st trip to Oregon this year, hopefully I’ll be able to make ti to this nature park! I love those twig people. Those are so cute and the park looks great. Oh wow what an amazing looking place this is to explore! I am loving the different things they have to spot as you wander around. 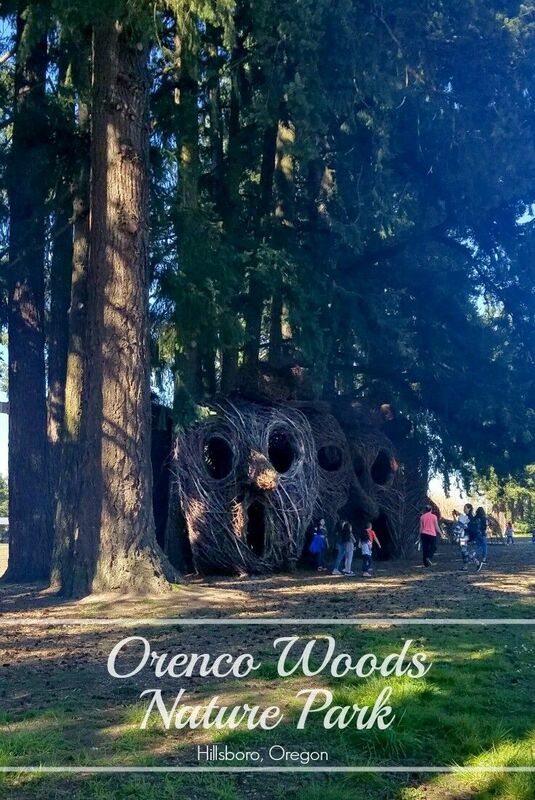 Orenco Woods Nature Park seems like a nice place to visit. I should bring my niece and nephew when we travel soon to US. I can just picture myself on my bike exploring the trails and this entire area. I enjoy the outdoors!